There is no better first impression than a great exterior of your home. 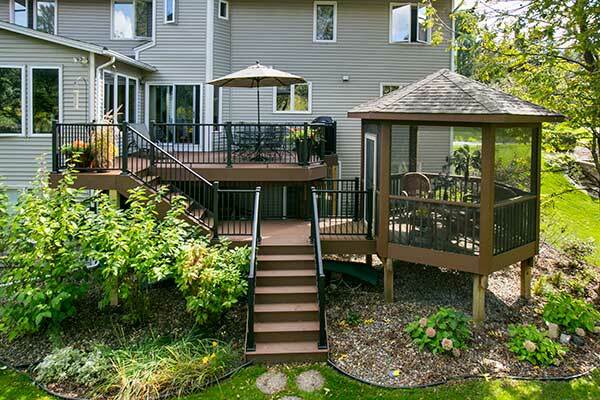 Great Northern Builders specializes in all aspects of your home’s exterior. Whether it’s roofing, siding, or windows, your exterior envelope is your first line of defense against the harsh Midwest climate. Enhancing outdoor spaces with a new deck, patio, or show-stopping outdoor kitchen is the perfect way to bring the comforts of the indoors to your backyard. With timeless details and materials that are made to stand the test of time, Great Northern Builders will work with you to ensure that the outside of your home is as amazing as the inside.